It's time to take your online adventure to the next level. Creator Pass is a collection of four amazing courses, all designed to take your online creating to the next level. 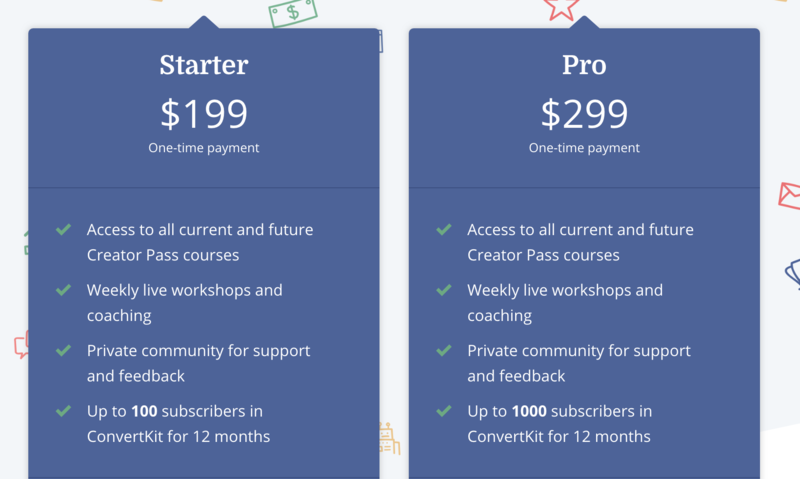 Also included is up to a year of ConvertKit for FREE. 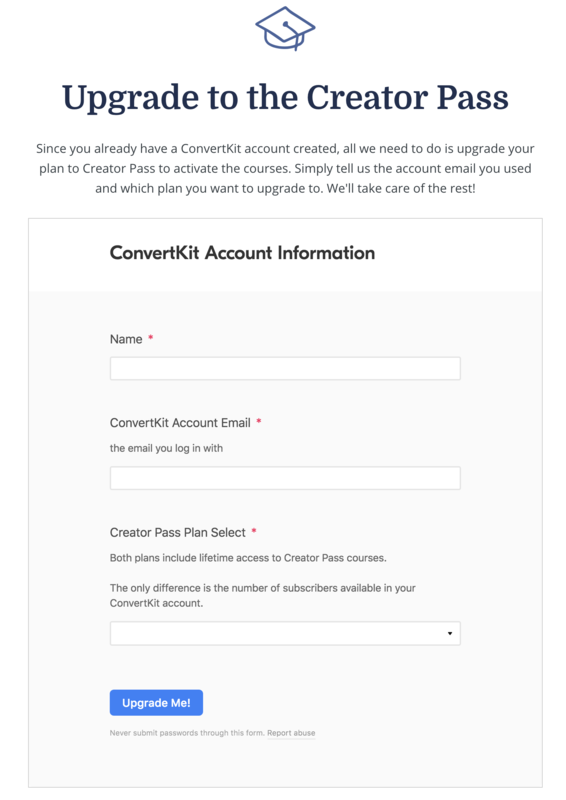 Ready to upgrade to Creator Pass? Click here and go to the Upgrade Page. Fill in your information and whether you would like to be on the Starter or Pro Plan. Not sure wat the Creator Pass is and want to learn more? Go here to get all of the details and see the awesome courses that can help you grow your business!